It lurks around every corner. It creeps up on you as you sit at your desk, stalks you as you wait for the bus, and pounces in between every drawn-out yawn. Luckily, we’ve taken to carrying portable boredom-slayers with us wherever we go: our smartphones. While they primarily serve to keep us connected, smartphones do double duty as peerless entertainment devices. And what better way to stay entertained than with video games? 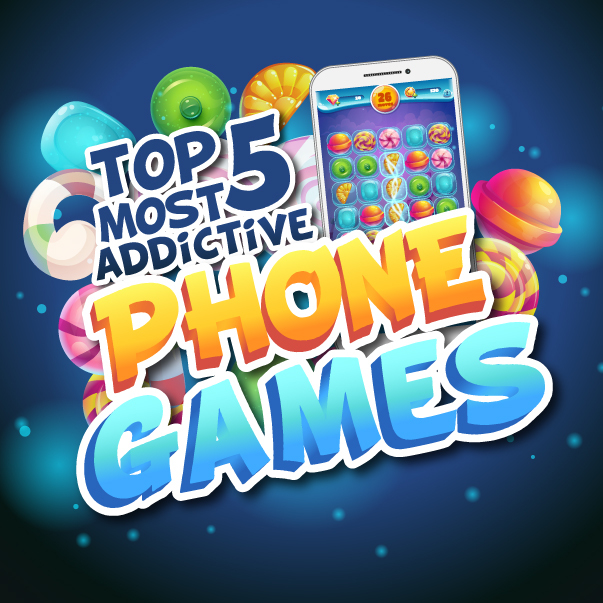 Mobile phone games have become a booming market ever since smartphones took off in the popular sphere, and it can certainly be challenging to sift through thousands of apps to find the truly entertaining gems. So we did it for you! Here are our top 5 picks for the most fun, addictive, and possibly overlooked mobile phone games on the market. If you’re in the mood for something relaxing but also somewhat challenging, Smash Hit is right up your alley. 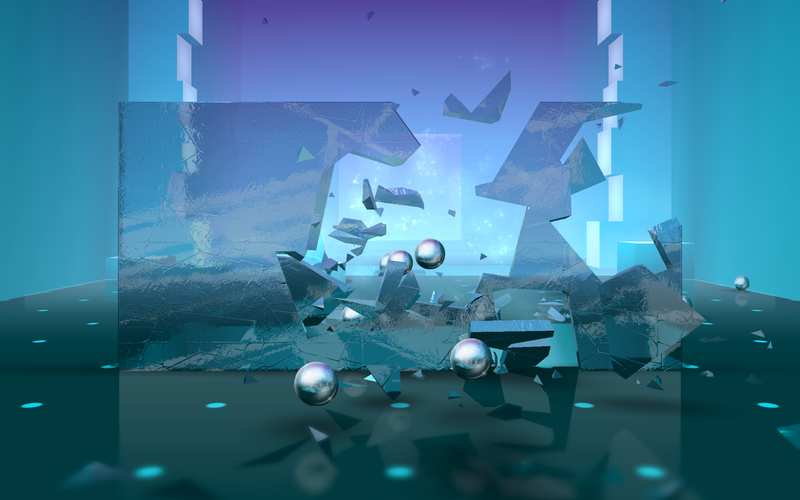 Armed with metal spheres, you traverse a beautifully surreal 3D landscape littered with glass structures that obstruct your path. To win, you must hurl the spheres at the glass, shattering it and clearing the way to the next level. 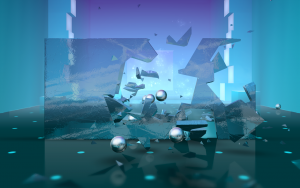 The sound design of Smash Hit really completes the experience, providing not only calming ambient music but also satisfying shattering sounds with every piece of glass broken. While the game can get fairly difficult as you progress, the gorgeous environments keep you level-headed even during the more frustrating bits. Smash hit strikes the perfect balance between destructive and meditative. And all for the low-low price of free! See for yourself by clicking here. 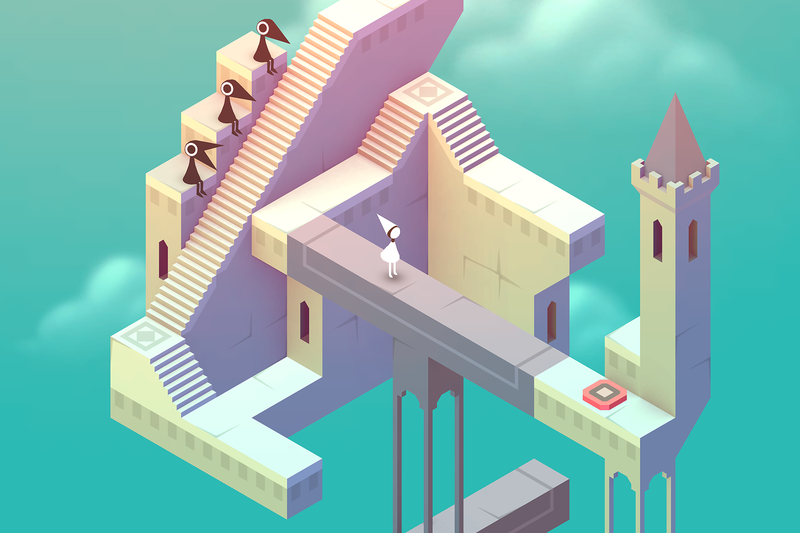 Once you get over the $3.99 price tag, few mobile games can compete with Monument Valley when it comes to sheer aesthetic design. The music and art direction are top notch, conveying a sense of zen throughout every segment. Each level presents a new piece of impossible architecture for you to manipulate. Slide, twist, and rotate the environment to guide the silent Princess Ida to the end of the level. While the concept of the game is simple on its face, the sheer number of unique levels keeps the game interesting to the end. With simple but elegant visuals and smooth gameplay, Monument Valley proves itself to be a worthy addition to your mobile gaming library. Download it here. If brilliant simplicity is what you’re after, then 2048 has got your number. This game has a pretty basic concept: slide tiles with identical numbers into each other to merge them into one tile with twice the original number value. The trick? Making sure you don’t run out of space on the 4×4 board! While you may mindlessly slide tiles around at first, the true key to winning this game lies in strategy, not variance. 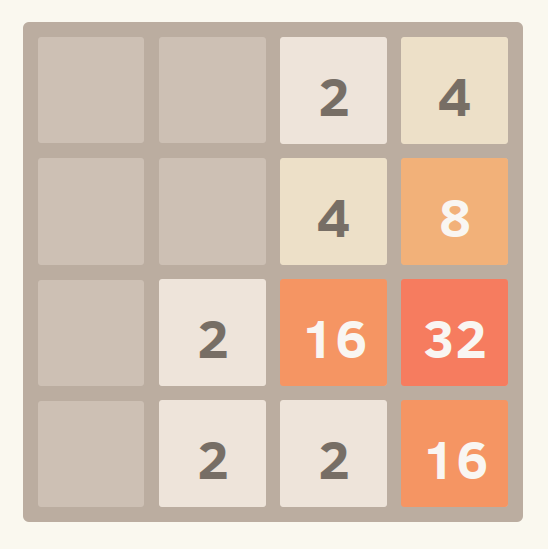 It can take a while to finally conquer this puzzle, but it sure is rewarding when you do hit that magical 2048 tile. 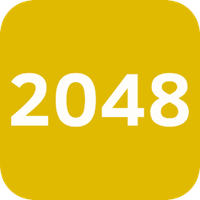 You can also continue past 2048 infinitely, so the game’s progression is virtually endless. The game is free, so there’s no harm in trying it out by clicking here. 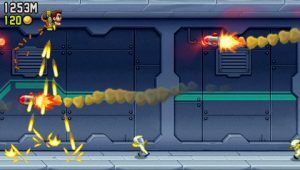 Whereas Smash Hit is destructive with underlying tones of relaxation, Jetpack Joyride does away with the latter while ramming headfirst into the former. In this incredible romp of a side scroller, you play as a tiny thief who pilots a jetpack held aloft by twin machine guns firing endlessly into the ground. It’s as excessive as it sounds, and it’s fantastic. Dodge obstacles, collect coins, and utilize a variety of hilarious powerups to get as far as you can through the level. Sometimes you just want to play something outlandish and chaotic. Jetpack Joyride scratches that itch quite nicely, and it costs nothing to do so. Click here to download it now! Classics are classics for a reason. 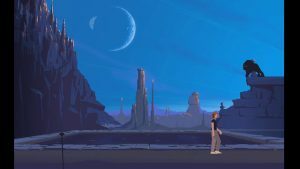 Initially released in 1991 for the Amiga and Atari ST, Another World is a cinematic platform adventure game that blends traditional platform gaming with stylized graphics and a dynamite story. You play as a physicist named Lester who gets transported to another planet after a freak lab accident. To survive, you must brave unknown environments, engage in battle with dangerous creatures, and unlock treacherous puzzles, all in the hopes of returning home. Due to sheer demand, Another World has been ported to a large spectrum of platforms since its initial release, including smartphones. Playing the game on a touchscreen doesn’t diminish its brilliance one bit, however. The controls are still intuitive and easy to use while the gameplay still provides hours of frustration and accomplishment. Overcoming challenges becomes less about reaction time and more about your approach. Did you get eaten by the monster because you didn’t run fast enough? Or was it because you didn’t swing from a vine when you should’ve? Any game that forces you to reconsider your tactics after you fail is a game that deserves to be beaten. And when a game looks and feels as stellar as Another World, it will certainly be your pleasure to do so. 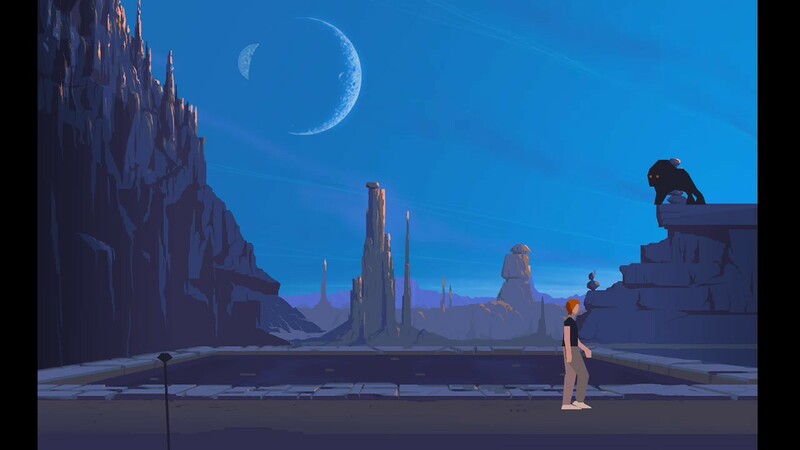 While Another World does cost $3.99, its quality alone is enough to warrant its price tag. Download it here if you get the chance! Any of the games we mentioned sound fun to you? Well, you’ll need a smartphone to play them! If you’re eligible for the Lifeline service and need a new smartphone, come visit us at www.qlinkwireless.com. We’ll send you a free smartphone complete with free monthly data and minutes so you can get connected and download any of these awesome apps.